In a speech in Florence on September 22, UK Prime Minister Theresa May gave her strongest assurances yet that citizens’ rights would be secured after Brexit, but her words are unlikely to reassure EU citizens in the UK who have suffered a steep rise in discrimination after the Brexit vote. 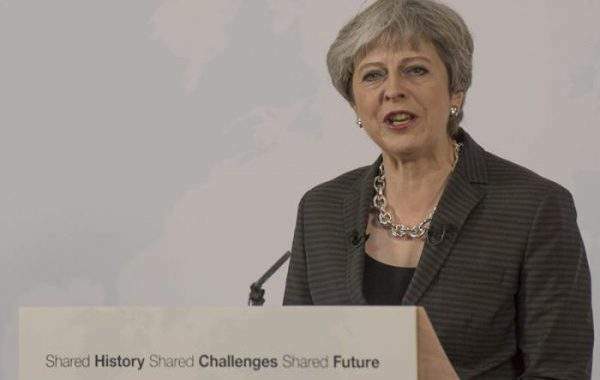 In a further effort to appease EU citizens in the UK, as well as the EU’s Brexit negotiators, she emphasised the independence and effectiveness of the British courts as a guarantor of citizens’ rights, and conceded that the UK courts would take European Court of Justice (ECJ) rulings into consideration. But such promises need to be backed up by concrete progress in the Brexit negotiations and action on the ground to address the rise in discrimination that EU nationals are suffering in the UK. As our survey ‘What do Citizens Want from Brexit?’ shows, two of the biggest concerns of EU citizens in the UK are uncertainty about the future and discrimination. Recent reports have made clear that these concerns are justified. The uncertainty surrounding the issue of EU citizens’ post-Brexit rights has led to discrimination against EU nationals trying to access employment, housing and a variety of services, experiences that are clearly out of sync with Theresa May’s assertion that they are valued members of British society. Besides investigating current discriminatory practices, EU citizens in UK at the very least need absolute certainty of their future rights if discrimination is to be stopped, something that needs to come from the UK government and the Brexit negotiations. With gaps still remaining between the UK and EU positions on citizens’ rights, such as the jurisdiction of the ECJ, the future rights of family members of EU citizens, and the conditions for applying for permanent residency, real progress needs to be made to ensure that EU nationals do not endure further discrimination. If Theresa May is true to her word on citizens’ rights, that the guarantee extended to EU citizens in the UK is “real”, she will act against discriminatory practices, resolve the remaining issues in the negotiations and give them the certainty they need to “carry on living [their] lives as before”.